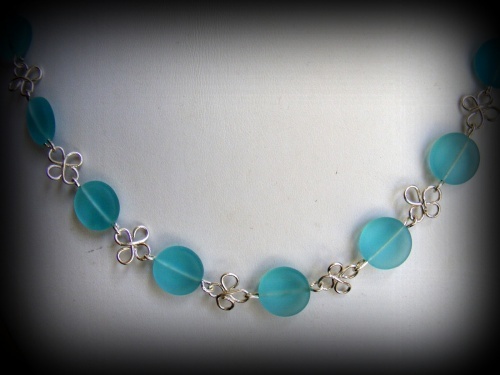 This pretty aqua recycled glass necklace has clover like handmade links between each piece of glass making it show up the color of the bead. All sonw in sterling silver.Piece measures 17" long. Comes with matching earrings.